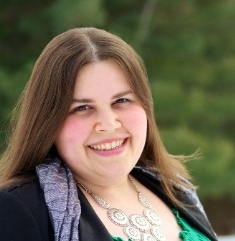 Like her Icelandic ancestors, history professor Emma Moretti is a passionate defender of Norse mythology. But in a small town steeped in traditional values, her cultural beliefs could jeopardize both her academic career and her congressman father’s reelection. Torn between public expectation and personal identity, family and faith, she must choose which to honor and which to abandon. In a dramatic, sweeping dual narrative that spans a millennium, two women struggle against communities determined to silence them, but neither Freydís nor Emma intends to give up without a fight. Amalia Carosella is an author I discovered from her Helen of Sparta series, both of which are favorites of mine. 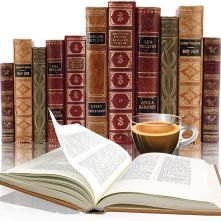 Click on the titles to see my reviews Helen of Sparta and By Helen's Hand. 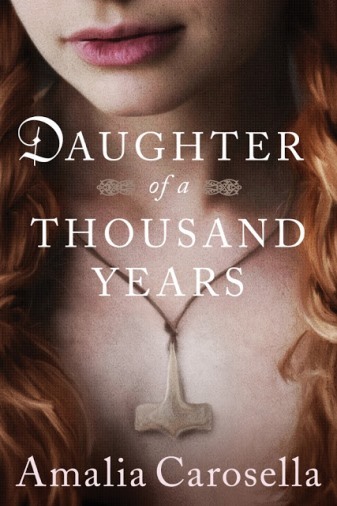 The author has written Daughter of a Thousand Years in dual time periods. Here we have two women born a thousand years apart and yet have the same struggles. In present day there is Emma, daughter of a congressman up for reelection. Being raised in a Catholic home has not automatically made her what her parents want, secretly converting to follow the path of Heathen she is forced to open up when word leaks to the media. The timing couldn't be worse and she is forced to make decisions that affect not just herself but the rest of the family. A thousand years ago there is Freydis, daughter of Eric the Red. Christianity has just started to spread on the island and she isn't buying it, doing whatever she can to follow her heart and worship whom she wants to. It's a struggle, as the family converts and being a daughter she is still expected to do what the family says. Determined to follow her own path there are many struggles, decisions and conflicts she is forced to deal with. It sometimes seems in dual time period books that I have a favorite setting and with this one I enjoyed reading the past story line. With the historical elements, customs and lifestyle I found this part very interesting. The immersion of Christianity onto these people and being Christian I would have loved to read more about that. It has perked my interest in that area and I love when a book does that. Freydis was a woman ahead of her time, she didn't want to waiver from her beliefs and yield to society demands but to forge her own destiny even when they could end with dire consequences. If the whole book has been about Freydis I would have been satisfied with that. I struggled with Emma's plight, she got off to a slow start but I loved how it picked up at the end. I didn't alway feel her conviction in her beliefs, at times she was strong and other times her actions seem too impulsive. All in all a nice story and one I would recommend. Thanks to Amy from HVBFT for the invite to be part of this tour and Lake Union for an advanced copy (via Netgalley). For more information, visit her blog at www.amaliacarosella.com. 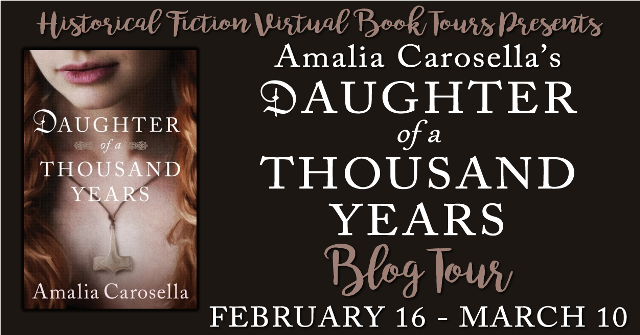 You can connect with Amalia Carosella on Facebook, Twitter, Goodreads, and Google+. Sign up for her newsletter, The Amaliad, for news and updates. Giveaway ends at 11:59pm EST on March 10th.